When does Blog Writing Service come to your rescue? With two new blogs being created every second, and well over a billion and a half in existence, it’s becoming harder and harder to stand out from the crowd, which is where blog writing services come in. While it is nice to have that personal connection with your readers, making sure your content is well-researched, engaging and properly optimized for SEO is very important to keeping your blog alive. This is by no means an easy feat, and the workload can become overwhelming. It is in such cases that turning to a professional writing service can be a good idea. Not only does it lessen your own workload, but you can also rest assured that your blog is in good hands. As a blog owner myself, with multiple different websites and projects under my belt, I often struggle to find the time to keep my sites up to date with relevant content. Don’t get me wrong, I love to write, but when you’re banging out thousands of words for a network of blogs, quality is the first thing to dip. Blog writing services are designed to connect you, a blog owner, with a team of writers who are well-versed in the art of blog writing and know exactly how to engage with users. There are thousands of blog content writing services out there, all seemingly promising their clients the Earth. To save you the effort of sifting through all the unreliable and sub-par services, We have taken the time to test hundreds of writers and agencies for you. 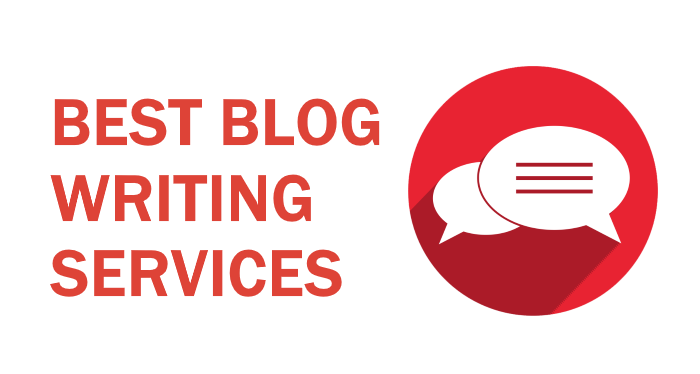 The end result is this list, a selection of the top 10 best blog writing services. It’s important to remember that not all blogs are targeting American readers, so having American writers all of the time isn’t necessarily a good thing. Grey vs gray, optimise vs optimize, rubbish vs trash… the list goes on. Why go through and correct grammar after receiving your article when you can get a native writer to do it for you? Price: £4 per 100 words, which is roughly $5.2 per 100 words. The thing that I love the most about Content Hero is that they’re so confident in their content that they are willing to offer you a free 400-word blog post so that you can see what they’re about! Whenever I have a project that’s targeting UK readers I always use Content Hero and it’s safe to say that they’ve never let me down. This is the ideal blog writing service if you just want to sit back, relax, and watch your blog generate money. The team over at Blog Mutt takes care of everything, from article research andwriting to posting, meaning that all you have to do is give them the topics at the start of the month and you’re good-to-go. If you’re not satisfied with their work, which we can’t imagine being the case, then you’re entitled to a 30-day money back guarantee. Price: $10-15 per 100 words, depending on article length. Turnaround time: This depends largely on the content plan you decide on. The most basic plan delivers 4 articles/ month, while agencies can order as many as 99. Blog Mutt’s agency-focused interface makes purchasing content in bulk an effortless task. This is very convenient if you have a lot of projects on your hands, or are working on behalf of your clients. The entirety of the process is thus made quick and simple, as well as time-saving for the client. They really have the whole package, and even post the content to WordPress and HubSpot for you! If you own an Authority Blog, then MyWriters is the perfect blog writing service for you. Apart from delivering engaging, well thought-out content, MyWriters also includes multiple sources of information, giving your articles a much more authoritative feel. Price: $3.90 per 100 words. Turnaround time: A rather slow 4-7 business days. The site, launched by two industry experts, aims to make blog owners’ lives easier, and it’s safe to say that they have accomplished their goal. While they’re not the best service on this list, their content is reliable and it’s unlikely that you will be disappointed. On top of letting you hire writers to work on specific topics, Constant Content gives you the ability to purchase the rights to pre-written articles. This is a great feature for people who don’t have the time to think of a topic or don’t know what would suit their needs best. Their library of content is massive and offers plenty of articles on a wide variety of topics to choose from. Price: Depending on the type of content, prices range from $8 per 100 words to $12. Turnaround time: Instant if you pick a pre-written article. Varies per project for commissioned pieces. With a pool of over 100,000 expert writers, you never have to wait long for your order to be completed. Whenever I’m struggling to think of a blog post idea or don’t want to wait for a writer to deliver the content, I head over to Constant Content and grab a few ready-to-order articles. Should you ever find yourself in a similar position, I strongly recommend the same approach. With more than 10 years’ worth of experience in providing quality content, TextBroker is easily the most established blog writing service on this list. They have a thorough vetting process for all new writers, as well as regular quality checks to ensure that their clients receive only the very best work. They also have an built-in plagiarism detector to make sure that all content delivered to you is completely unique. Price: Just like WriterAccess, the price of content from TextBroker varies greatly on the type of writer you wish to offer. A level 2 author will cost you $1.30 per 100 words, while a level 5 author will cost $7.20 per 100 words. If you wish to specify which author writes your articles or even build up a team of hand-picked experts, then prices start from $2.40 per 100 words. Turnaround time: Because Text Broker works with a massive database of writers, the Turnaround time will vary massively per order. Some jobs will be accepted in minutes if they are on a very broad topic, while niche-specific articles that require a lot of research/ knowledge may only be accepted after a few days. With four levels of authors and even the possibility to build up a reliable team to handle a number of orders, there’s a writer to suit everyone’s needs at TextBroker. Having the ability to preview your order before you accept it is very useful as it prevents time from being wasted on any potential revisions or rewrites. CorpWriting strives to deliver the very best content for all of their clients, regardless of whether they are writing for a Fortune 500 business or a small blog owner. Their simple five-step order-deliver process makes them one of the best blog writing services out there, as far as we’re concerned. Price: $16 per page for SEO Blog Writing. $49 per page for product reviews and $25 per page for eBooks. Turnaround time: A speedy 2 days for their blog writing service. Other Services: Infographics, eBooks, Video Scripting. Their 24/7 Support is second-to-none and the ability to hop on live chat to discuss your current orders is really convenient when it comes to establishing clear communication, for whatever reason. Their specialized management team is always on-hand to make sure your order gets paired with a writer who is knowledgeable in your field, which results in a professionally written article that is excellent at what it does, be it copywriting, entertaining blog posts or anything else. Based out of Boston, WriterAccess offers its clients access to its unprecedented network of over 15,000 amazing writers based around the globe. Their writers are graded through a star rating system which ranges from 3 to 6, and are experts in conversion rate optimization, increasing user retention time, and search engine optimization. On top of having traditional pay per word pricing, they also offer various smart packages, where you pay a monthly fee and they manage practically everything on the content side; they come up with the ideas, write the articles, and even make social media posts for you. Price: $4-20/100 words. The price varies massively on the grade of writer you wish to hire, specific research/ editing/ translation requirements. Turnaround time: Once again, this varies depending on the project complexity. Other Services: Social Media Posts, Project Management. One of the many things that I love about WriterAccess is that they have an amazing customer-satisfaction policy. If you’re not happy with your content then their revision policy entitles you to a free re-draft and if you are still not happy, you don’t have to pay. They also offer a 60-day refund period for all deposits made on their platform. Price: Varies as you increase the article word length. $35 for a 500-word article, $75 for a 1000-word article and so on. Turnaround time: Orders of 25 articles or less are delivered within 7-10 days. Other Services: Social Media Posts, Ecommerce descriptions. I, personally, have worked with hundreds of writers and agencies in the past and Natasha Nixon has always been one of my favorites. Their team is made up of internationally published journalists who work for publications such as Forbes and The Huffington Post, and are masterful at producing engaging, interesting content. Their industry renowned expertise have earned them the title of #1 Content Service on Fiverr, with over 18,000 5* reviews, as well as thousands more on various other freelancing sites and marketing forums. They offer two levels of content: SEO content, which is perfect for review articles and small blogs, costing $1.5 per 100 words as well as Authority content, ideal for Press Releases and Sales Pages, costing $7.97 per 100 words. Price: $1.50/100 words for SEO Articles. $7.97/100 words for Authority content. Turnaround time: 3-4 business days for orders up to 3000 words. Other Services: Keyword targeted Traffic. 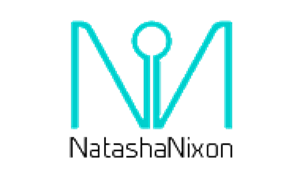 If you need regular content with a consistent quality level, then Natasha Nixon is the place to get it. While it’s difficult to rate content providers in a 1-10 manner like this, due to some specializing in certain areas, I can safely say that you won’t be disappointed with this blog writing service. GoSuperb are making waves in the content writing world with their fresh approach to pricing and aim of complete customer satisfaction. This has seen them stick out from the crowd and their blog writing service is sure to put your blog on the map in a similar manner. The writing team is second to none, comprised of deftly selected wordsmiths who can alter their manner to connect to those who matter – the blog reader. The quality provided is always at a very high level and their pricing structure sees that clients can be assured that whether they require something niche, detailed or topic-specific, or need something short and snappy, they are going to get it. A relatively new player providing a breath of fresh air to a sometimes stagnant bloggers’ atmosphere. Shaking up the competition and shimmying swiftly to the revered top spot.